Hi everyone, I've been pondering over whether to post here for a while but thought I'd introduce myself! 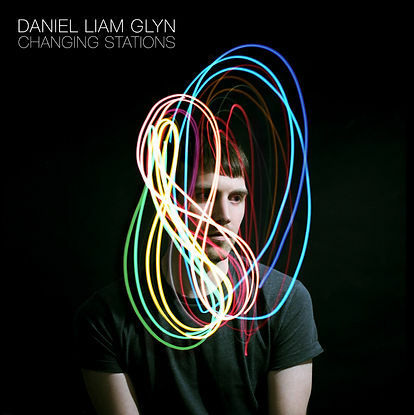 I'm Daniel Liam Glyn, a Manchester based composer and arranger (a giant Goldfrapp fan, a self-obsessed lover of Will's arrangements and Alison's writing) and I've recently released an 11-track concept piano album based on the 11 main lines of the London Underground using my Grapheme Colour Synaesthesia. My Facebook Music page is www.facebook.com/danielliamglyn and I'm also on Twitter: @DanielLiamGlyn - say hi! I wanted to give an update on the album above - and to see whether anyone can help! The composition is complete, and so is the majority of the recording. However in order for the album to fully come to life, my music team are opening it up to the public to help fund the final aspects of the project through Kickstarter on a 30 day campaign. We have spent the last couple of weeks putting together the campaign that explains the album in further detail, what we aim to raise and what we’d be using the funding for. As an incentive, people who kindly pledge will receive the album back for free by selecting from the list of 'Rewards' on the page. This includes the CD with illustrated postcard prints (by Dom&Ink), t-shirts, the album on double gatefold vinyl, a thank you in the credits, the chance to be on the album as a voiceover.. all the way to being an 'Executive Producer' and invited to a listening party before release! I wanted to share it here as any support in the form of a Facebook share, a retweet or just general word-of-mouth is greatly appreciated. Any kind donations towards the project would be absolutely amazing! It's a big risk as if we raise under the target then we don't get any funding at all which means I have a nail biting month ahead of me campaigning. I'm off to London on Saturday to campaign there and hopefully meet up with a few people and I received an e-mail last week from the Kickstarter team to let me know it's been selected as a ''Project We Love'' which is great news! Another bump. Hope you don't mind me sharing some more news :) If Alison and Will ever saw this then.. that would complete me! The album is here... After 5 years of planning, a year of campaigning and a whole lot of blood, sweat and tears - the album is now available for you all to hear! Thanks to an amazing set of family and friends, a group of talented musicians, hundreds of lovely supporters and a successful Kickstarter campaign, this has all been possible. From the bottom of my heart - thank you all so much again to those who pledged towards the campaign. Congrats on getting your album made. I got my copy in the post a few months ago just like your Kickstarter promised. Enjoyed listening. Mostly because it reminded me of my visits to London which all involve an Oyster card and tube n rail rides. I found it very meditative. Sorry I've only just seen this! So happy you received your copy safely :) Glad you like the music, a lot of people have said it helps them relax!